Etihad Tower's Observation Deck takes High Tea quite literally ...High.... I mean 74 stories high. This for me personally was a two for one experience. The high tea comes in a gorgeous 3 tiered presentation. It's a lovely selection of cakes, pastries, finger sandwiches, and of course scones with your choice of hot beverage and a welcome drink - so my advice either come ravenously hungry or share a High Tea between two people. As you sink into their low leather chairs you will be mesmerised by Abu Dhabi's best kept secret - The Amazing View. With 360 degree views of the city you can view downtown, Emirates Palace, The New Royal Palace (which might be bigger than the city itself) Marina Mall and the beautiful corniche mixed with the turquoise water it's truly stunning. If you are a tourist or have visitors you must visit. 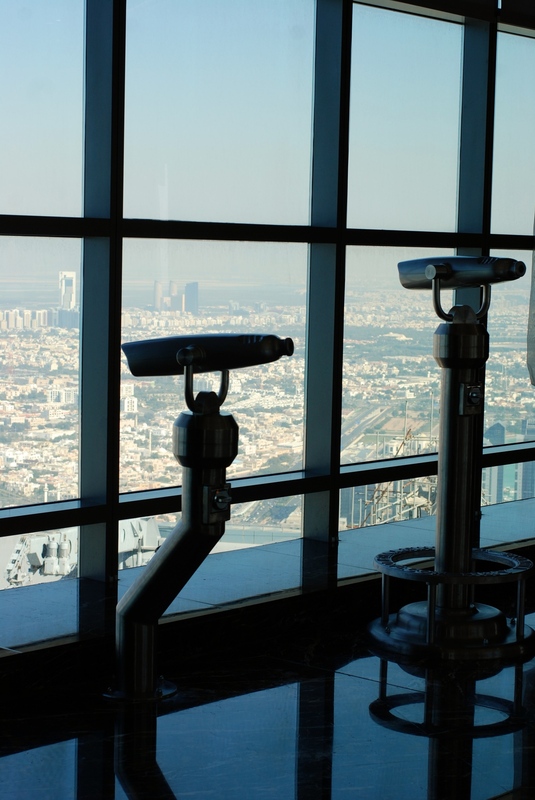 Entrance to the Observation Deck at 300 is AED&nbsp;75 for visitors, redeemable against AED 50 for food and beverage served at the venue. However, hotel guests can enjoy complimentary entrance.